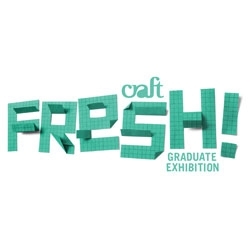 Fresh!, Craft Victoria's annual exhibition of outstanding work by graduating students, opens this Thursday 1 December from 6-8pm at Craft Victoria. This year twelve makers have been selected from the graduate exhibitions of over 35 Victorian university and TAFE craft programs including gold and silversmithing, ceramics, glass, fashion, textiles, industrial and furniture design, and visual arts. Fresh! exhibitors include Allona Goren and Wendy Korol, graduating from the RMIT gold and silversmithing program. Congratulations to this year's Fresh! artists! The exhibtion will run until 23 December.